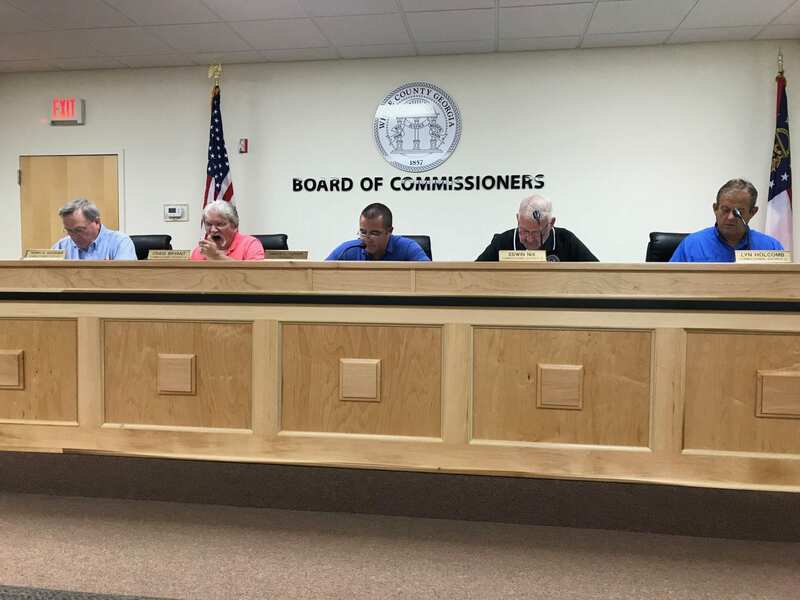 CLEVELAND, Ga. – The White County Board of Commissioners has a busy agenda schedule for Monday’s work session and called meeting with 15 items to discuss, including a review of the bids received for proposed 2018 road projects. The roads that were approved by commissioners this year qualify for the state’s local maintenance and improvement grant (LMIG). The board will also consider designation of Georgia Department of Transportation (GDOT) emergency funding for damage caused by tropical storm Alberto. White County was hard hit by the storm, especially along Hwy. 75 between Cleveland and Helen. The county received 15 inches of rain during the seven days after the storm made landfall. Presentation of a monthly financial status report.